25. The Jewish Women's Microenterprise Loan Fund, operating with support from Combined Jewish Philanthropies of Greater Boston (the Jewish federation in Boston), aims to assist Jewish women in generating and/or expanding small businesses in Dnipropetrovsk. All loans are processed through PrivatBank, a large and highly-regarded bank controlled by two Dnipropetrovsk Jewish oligarchs, Hennady Boholubov and Ihor Kolomoisky. A committee of PrivatBank officials and local Jewish community representatives evaluates loan applications. The average loan in recent years has been $3,500, the maximum was $5,000. In addition to the application itself, the loan committee also considers personal circumstances of the applicant, such as family income and number of dependents. More than 80 loans have been extended since inception of the project and almost all have been paid in full or are on schedule with repayment. Only two are late, said the director, Natasha Rier; the committee does not yet consider these to be defaults. The Loan Fund currently is managing 20 active projects, Ms. Rier said, noting that its capacity is about 25 outstanding loans. The current political and economic situation in Ukraine has made both people and banks highly risk-averse. They have received 15 to 20 percent fewer applications than usual, stated Ms. Rier. People still have good ideas, she continued, but they are afraid to act. Ms. Rier said that many would-be applicants already are working two or even three jobs to make ends meet; when they come to her, they are depressed (подавленные) and overwhelmed by the circumstances of their daily lives. Some are well-educated, she acknowledged, but they just are unable to create suc-cessful lives. She becomes a counselor, trying to help women focus on attainable goals. Natasha Rier has directed the Jewish Women's Microenter-prise Loan Fund since its inceptions. The current uncertain situation in Ukraine makes business development very diffi-cult, she says. The Loan Fund arranges classes in basic business management and assists women in writing business plans. It works with ORT to offer courses in computer skills, from basic computer literacy to advanced applications. Ms. Rier also considers Project Kesher a valued partner for its ORT/Keshernet program, which teaches Microsoft Office. The women who enroll in business management and/or computer classes meet several times each week and form a natural support group that helps them deal with their psychological issues, Ms. Rier said. 26. 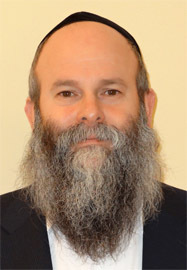 Rabbi Shmuel Kaminezki, a native of Kfar Chabad in Israel, is Chief Rabbi of Dnipropetrovsk and Dnipropetrovsk oblast. He was sent to the city, an important site in Chabad history, by Chabad Rebbe Menachem Mendel Schneerson nearly 25 years ago and today is considered by many observers to be the most capable large-city rabbi in all of the post-Soviet states. He has built a complex communal infrastructure, including both social welfare and educational institutions as well as the grand Menorah Center. He enjoys excellent relations with international Jewish organizations, such as the American Jewish Joint Distribution Committee, the Jewish Agency for Israel, and ORT; he also encourages the unique and fruitful sister-city relationship between the Jewish communities of Dnipro-petrovsk and Boston. 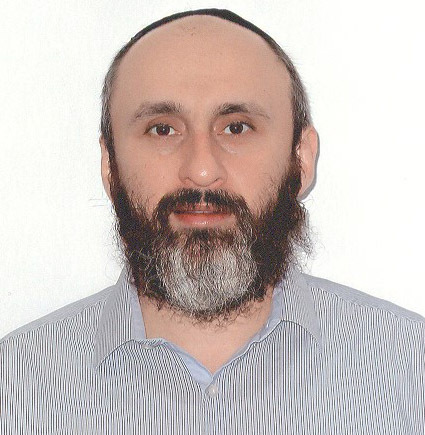 In addition to connections with Jewish organizations, Rabbi Kaminezki is respected by local, oblast, and national government officials as well as diplomats and other foreigners who perceive him as a keen observer of local and national developments in Ukraine. Rabbi Shmuel Kaminezki was born in Israel and completed rabbinic training in the United States. His advice is widely sought. In speaking of Russian interference in Ukraine, Rabbi Kaminezki said that all Ukrainian Jewish oligarchs are patriotic Ukrainians and support the independence of Ukraine. Many are extending financial assistance to the Ukrainian government, a circumstance that is well-known among the general population and greatly appreciated. Support for Ukrainian sovereignty is solid among the Dnipropetrovsk Jewish population, Rabbi Kaminezki stated. Rabbi Kaminezki continued that Jews should pray for peace and harmony and should eschew politics when speaking from a Jewish community platform. It must be accepted, he continued, that Jews in Ukraine support the government of Ukraine; Jews from Russia should not attempt to persuade them to do otherwise. Rabbi Kaminezki spoke very positively of the new Israeli professionals representing the Joint Distribution Committee and the Jewish Agency for Israel - Yoni Leifer and Natasha Nabitovsky and Max Lurie - in the region. They are all strong professionals, he said, and he looks forward to working with them. In response to a question, Rabbi Kaminezki acknowledged that the ongoing financial crisis is having a major deleterious impact on the Chabad community in Dnipropetrovsk. A number of formerly generous donors have suffered serious business losses and, in response, have trimmed their contributions to the Philanthropic Fund. Additionally, individuals and organizations have cancelled events in the Menorah Center, thus reducing revenues expected from that facility. Sometimes, he continued, it is difficult to pay salaries on time. With the exception of difficulties caused by the economic crisis, the Menorah Center is fulfilling the goals established for it, said Rabbi Kaminezki. It has become a true communal center; at any time on a weekday, he continued, between 1,500 and 1,700 people are in the building. In addition to the businesses and organizations that maintain offices and program areas in the building, a low-cost, but profitable, diner attracts 300 to 400 people daily for lunch or dinner, and a market-rate coffee shop attracts another clientele. An upscale kosher restaurant was due to open soon. As soon as finances permit, the small community center building attached to the back of the synagogue will be renovated and turned over to certain community operations that do not generate revenue. These include executive offices of the Chabad community, Adopt-a-Bubbe, and the Jewish Women's Microenterprise Loan Fund, said Rabbi Kaminezki. Additionally, the management offices of the Menorah Center itself probably will be moved to the old building because the space that it currently occupies could be leased to commercial firms that pay market rent. 27. Vyecheslav “Slavik” or “Zelig” Brez is the Executive Director (Исполнительный директор) of the Philanthropic Fund of the Dnipropetrovsk Jewish Community (Благотворительный фонд Днепропетровского еврейского общины), which supports Chabad interests in the city. Mr. Brez stated that the Philanthropic Fund annual budget, which stood at about $5 million in better years, is $4.3 million in 2013-2014 and probably will be about $3.3 million in 2014-2015. (The budget excludes expenses for the Menorah Center, Beit Chana, the Jewish Medical Center, and certain other projects/programs that are financed separately.) The considerable decline reflects fewer contributions, contri-butions of lesser value, community politics, changes in the currency exchange rate that are unfavorable to Ukraine, and inflation that is largely a product of the confrontation with Russia. Many Philanthropic Fund donors, continued Mr. Brez, have lost their businesses; as examples, he cited several local Jews who owned property in Crimea that has been commandeered by Russians without compensation. Others have lost trade partners in Russia or own businesses in Ukraine that are dependent upon a middle or even upper class clientele that exists in far fewer numbers than previously. A major donor whose gift provided a substantial portion of the budget has ceased giving due to a business dispute with other major donors. The value of the Ukrainian currency (hryvnia) has plunged 35 percent in the last three months [as of early April 2014], thus making all imported goods much more expensive than earlier. Asked about inflation, Mr. Brez responded that the cost of fuel (transportation and heating) has increased about 25 percent in the last year. Imported goods have increased 25 to 30 percent he said, and local food has increased 10 to 15 percent. He attributed the rise in food costs to increased fuel prices. Above all, stated Mr. Brez, is the sense of uncertainty, which has almost paralyzed donors. People, even usually very confident and decisive successful businessmen, are risk-averse when uncertainty prevails in every dimension of life. The number of regular fairly substantive donors to the Philanthropic Fund, which was almost 90 several years ago, fell to 70 in 2012-2013 and probably will be about 50 this year. The Philanthropic Fund is too dependent on a small number of major donors, acknowledged Mr. Brez; when one declines to give because of conflicts with other donors or because of business setbacks, the community suffers enormously. Zelig Brez is the executive director of the Chabad philanthropic fund and the general Chabad infrastructure in Dnipropetrovsk. In response, Mr. Brez said, the Chabad community has initiated major reductions in its programs, although it has taken care to preserve welfare measures for the most vulnerable population groups, i.e., elderly and small children. It has postponed indefinitely all but the most vital capital projects, including repairs, unless donors can be found to sponsor them. It has suspended operation of its summer camps for local Jewish children, a move that saves about $200,000. It has reduced the number of Israeli teachers of Jewish subjects in its schools, saving more than $100,000 that had to be paid for transportation, higher salaries, rent allowances, insurance, and other costs; the engagement of more local Jews as Jewish-content teachers is possible only because the community had invested in their Jewish education at Beit Chana and in certain foreign institutions, Mr. Brez noted. Some executive salaries that previously were paid in United States currency are now paid in Ukrainian hryvnia, a significant financial burden to the recipients. Additional savings also have been implemented, stated Mr. Brez, and more will be in place in 2014-2015. Antisemitism, although always present in Ukraine, has not increased as much as might be expected under the current difficult economic circumstances, said Mr. Brez in answer to a question. The right-wing individuals and groups from western Ukraine are more patriotic than nationalist, he stated. The real danger to Jews comes from the strongly Russian nationalist speech and actions of President Vladimir Putin of Russia, as well as from provocative writing of certain Russian journalists, averred Mr. Brez. See the writer's most recent previous report Observations on Jewish Community Life in Ukraine - Report of a Visit in April 2013, page 74, for a description of some of the business projects supported by the Jewish Women's Micro-enterprise Loan Fund. However, Rabbi Kaminezki is alleged by some as intolerant of non-Orthodox Judaism, having blocked the development of a Progressive/Reform Jewish presence in the city. The reference was to Rabbi Berel Lazar, Chabad Chief Rabbi of Russia, who sought unsuccessfully to obtain signatures of Chabad rabbis in Ukraine to a letter of support for Russia in its breach of Ukrainian sovereignty. The action of Rabbi Lazar, who has long been derided as Chief Rabbi of the Kremlin, appears to have caused a major rupture between the Chabad movements of the two countries. Notwithstanding his comment about the need for Jewish leaders to avoid politics, Rabbi Kaminezki offered some defense of his Moscow colleague, saying that Rabbi Lazar must state his support of Russian actions because he needs the endorsement of the Kremlin. Mr. Leifer represents JDC; see pages 59-61. 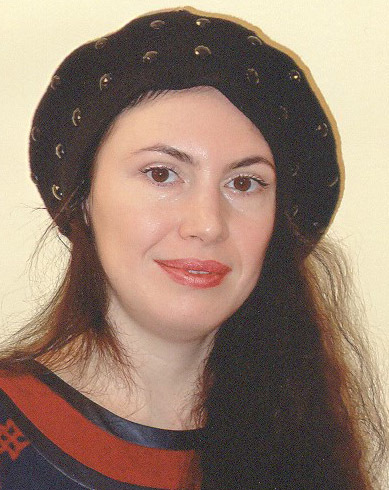 Ms. Nabitovsky represents the Jewish Agency in the city of Dnipropetrovsk and her husband, Max Lurie, represents the Jewish Agency in the rest of eastern Ukraine; see pages 57-59. See also the interview with Zelig Brez, executive director of the Chabad Philanthropic Fund, on pages 49-51. Each of these cafés and restaurants is privately operated.